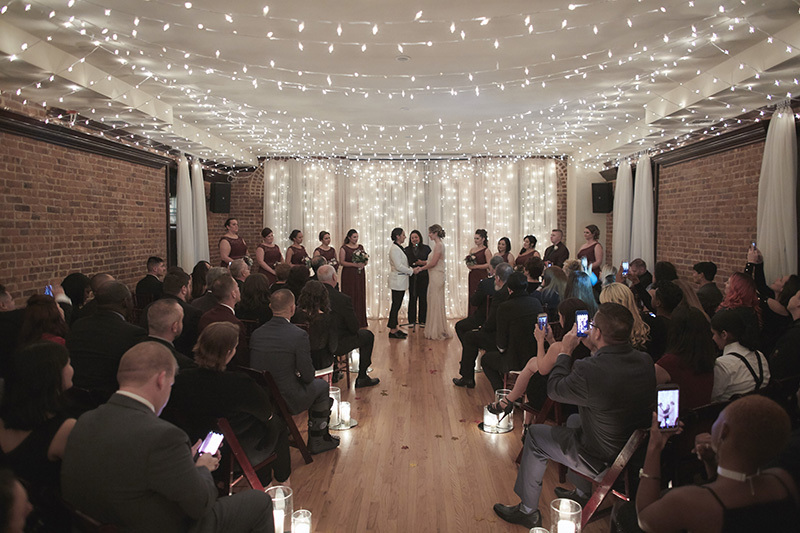 Why you’ll love it: A former Synagogue turned event space, Deity Events is like no other wedding venue we have seen. 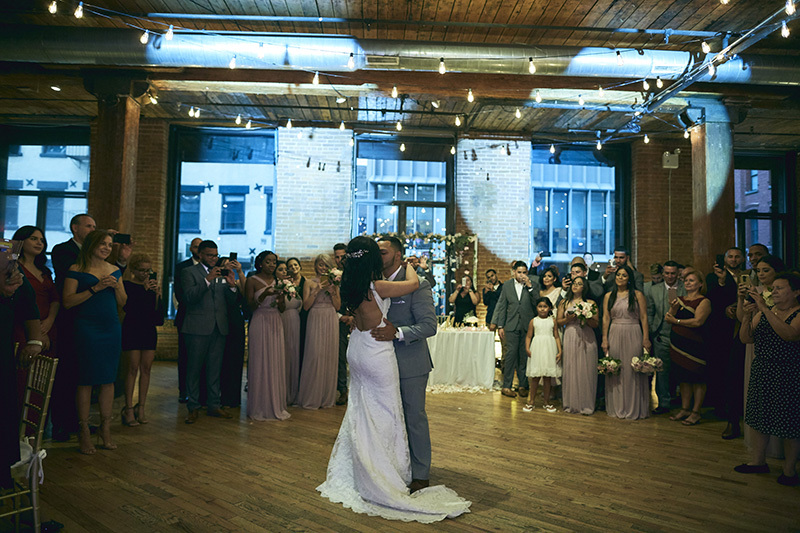 Couples have full use of 3-levels of space including a Loft with brick exposed walls and hardwood flooring; A Lounge with velvet upholstered seating and a one-of-a-kind indoor “Tree of Life” and a recently renovated Cellar for dancing. Couples are offered all-inclusive packages with the option of booking their Bridal Suite and private rooftop with jacuzzi! 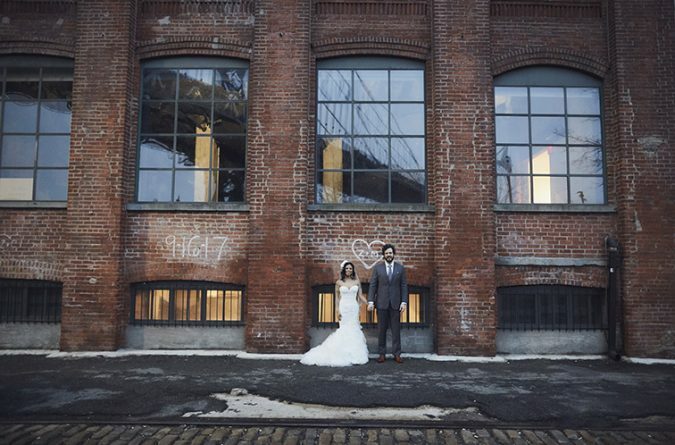 Location: Gowanus, a hipster neighborhood with a mix of classic row houses and converted warehouses..great for photos! Why you’ll love it: Originally constructed as a brass foundry, the Green Building offers a raw rustic space with indoor and outdoor options. Exposed brick walls, natural light and beamed ceilings means you can keep additional décor to a minimum to really let the space shine. Couples can bring in their own catering, dj, and other wedding professionals allowing them to stay in charge of their budget. 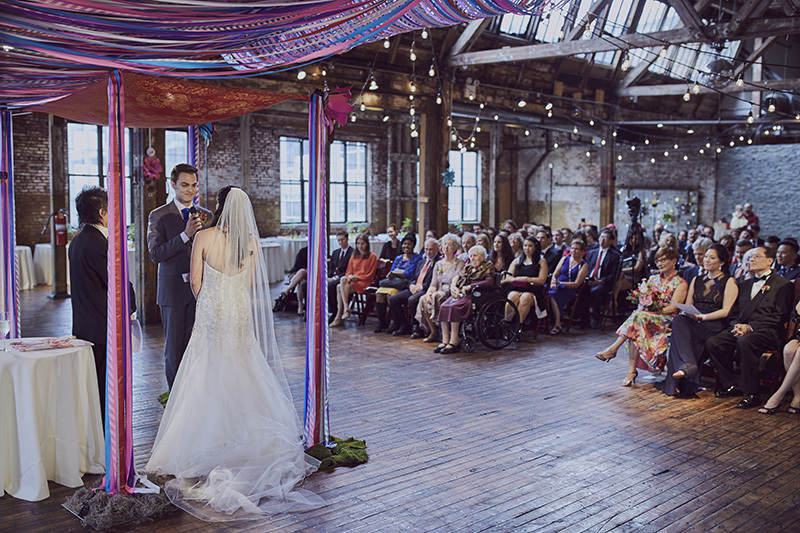 Why you’ll love it: If you love high ceilings, brick-exposed walls and tons of natural light, then Dumbo Loft may be the right fit for your big day! 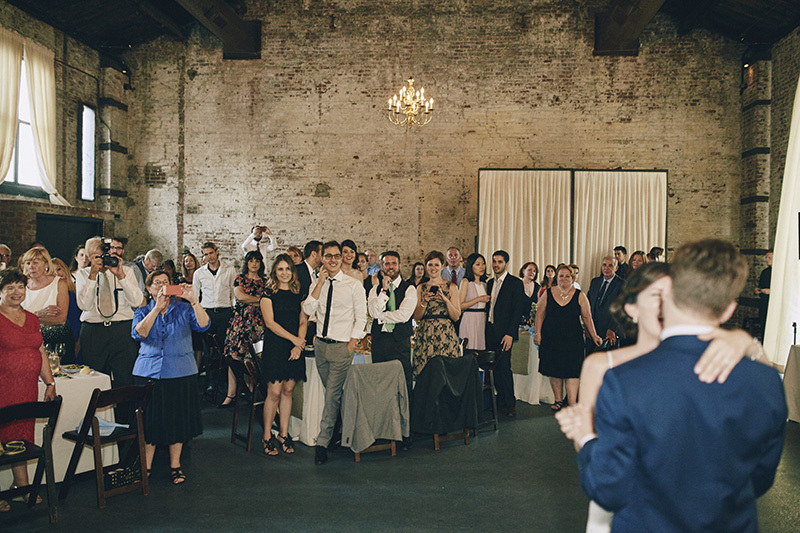 A raw space, couples are allowed to bring in their own décor and wedding vendors. It’s a block away from Brooklyn Bridge park so a ceremony on the water followed by portraits in the area on cobble stone streets with the Bridge in the background is a must! Our photographers love shooting in Dumbo! Why you’ll love it: A Pre-WWII rope factory converted has been restored to it’s original raw appearance and is one of the most unique venues in Brooklyn. The space offers soaring beamed ceilings, wooden floors and open skylights giving this rustic space a light and airy feeling.